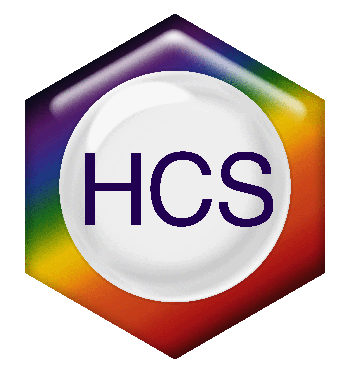 The Histochemical Society (HCS) was founded in 1950. In 1963 it was incorporated as a not-for-profit scientific society in the State of New York as The Histochemical Society, Inc. The Society owns and until recently self-published The Journal of Histochemistry & Cytochemistry. In 2011 HCS became a member society of the Federation of American Societies for Experimental Biology. This mission is to be accomplished through scientific meetings, academic publishing (The Journal of Histochemistry & Cytochemistry) and through development and sponsorship of courses relevant to the mission of the Society. The current course of the Society is Immunohistochemistry (IHC) and Microscopy, which is held at the Marine Biological Laboratory at Woods Hole, MA. A range of awards and scholarships support students, junior faculty and others for attendance at the course and at the HCS Annual Meeting. For several years HCS was a guest society of the American Association of Anatomists (2003, 2009), the American Society for Investigative Pathology (2007) and The American Society for Biochemistry and Molecular Biology (2008) at the annual meetings of Experimental Biology. These associations will continue and grow as HCS develops further partnerships within the FASEB community. In substance, the education component of the Society has assumed increased importance through short courses held over the past several years. The HCS Council felt that a need existed in the scientific community for training in immunohistochemistry and related topics that would aid research in many disciplines. There was a concern that many researchers did not fully understand nor correctly implement histochemical methods in their work. To help overcome these limitations, a training course in basic elements of immunohistochemistry (mainly didactic lectures) was held in 2008 and 2009 preceding the Experimental Biology annual meetings. These were stand-alone courses that preceded scientific sessions at the Experimental Biology. Due to demand for hands-on laboratory training in immunohistochemistry, an enhanced course evolved with both lecture and laboratory components. This course is held at the Marine Biological Laboratory at Woods Hole in each year in March. The course involves 30-35 students per year, including graduate students, technical assistants and faculty from institutions in the US, Asia and Europe. The Journal of Histochemistry and Cytochemistry is the official journal of The Histochemical Society. JHC began publishing in January of 1953. The idea for publishing a journal specific to histochemistry was first proposed at the second meeting of The Histochemical Society in March of 1951. A committee headed by Ralph D. Lillie was tasked with finding a publisher and bringing the journal to fruition. The committee entered into negotiations with Williams and Wilkins Publishing of Baltimore, Maryland and on July 28, 1952 signed a contract with Williams and Wilkins to publish the Journal of Histochemistry and Cytochemistry. JHC began accepting manuscripts that day with the first one submitted by David Glick. The first issue was publishing in January of 1953 with over 800 subscribers. Ralph D. Lillie was the first Editor-in-Chief with Stuart Mudd, J. F. A. McManus, L. B. Thomas, Jonas S. Friedenwald, Arnold M. Seligman, R. C. Mellors, George B. Wislocki, David Glick, and George Gomori as Associate Editors. Along with the article by David Glick, the initial issue also included articles by Ralph D. Lillie, Arnold M. Seligman, Leon P. Weiss, Don W. Fawcett, Alex B. Novikoff and Estelle Podber. The Journal was published six times each year from 1953 – 1963 and then monthly beginning in 1964. In 1997, the Journal began publishing online through Stanford University’s HighWire Press and beginning in 2004 began to digitize all of its back content. All content back to and including 1953 is now available online. The Journal began publishing all of its articles online ahead of press in May, 2005. The manuscripts published ahead of print are the unedited author version. The earliest this happens is in 44 days, from acceptance to on-line loading of the manuscript. In 2005, the on-line edition became the version of record. Changes over the years have included different commercial publishers, HCS self-publishing the Journal for 25 years, online publishing and the online version becoming the version of record as previously mentioned. Additionally, all manuscripts are now submitted 100% online, all workflow between the editorial office and authors is online and the majority of subscriptions are for online only. In 2011, SAGE publications, an international publisher with publication office in the United States, Europe and Asia began publishing JHC. The Journal continues to be published monthly, both in print and online. The Journal publishes the following categories of articles: Original Articles, Perspective Articles and Review Articles. The Journal of Histochemistry and Cytochemistry is an established cell biology journal that includes primary research articles, timely reviews, editorials and perspectives on the structure and function of cells, tissues and organs. This includes research into mechanisms of development, differentiation, and disease. High priority is given to submissions where imaging techniques are complemented by current genetic, molecular, and biochemical approaches. The Journal of Histochemistry and Cytochemistry welcomes concise review articles, especially those that address key issues in methodology. The Journal continues to publish new developments in microscopy and imaging. Purely descriptive studies of gene or molecular expression also will be considered, particularly where supported by experimental data to generate mechanistic insights into cell or tissue function.